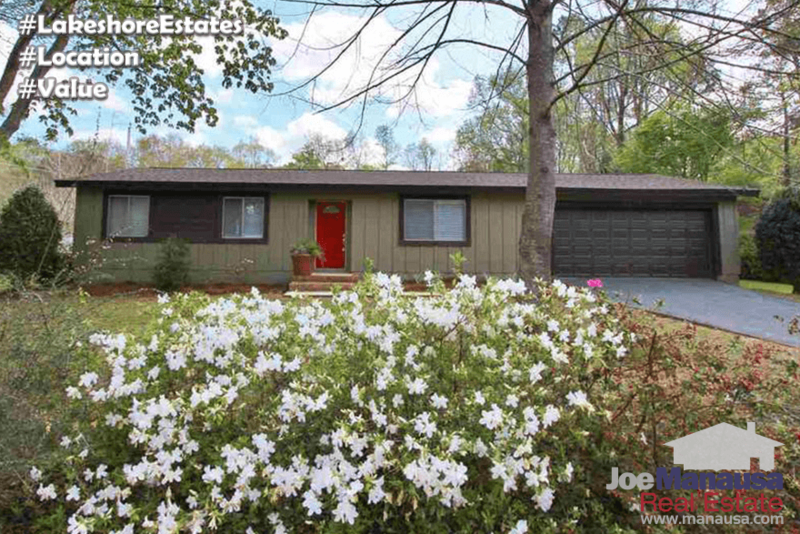 Imagine finding a well-located single family detached home with mature flowering azaleas, and priced below what you would have paid for a townhouse just a few years ago. Well, this is what you will find when shopping for a home in Lakeshore Estates. 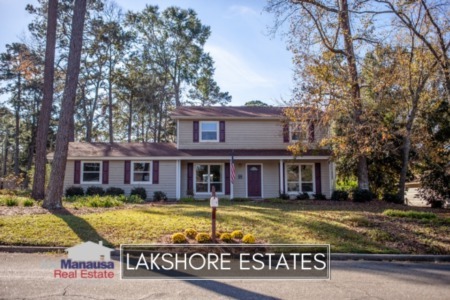 If you want the convenience of living in NE Tallahassee without having to pay the price for NE Tallahassee, consider looking at Lakeshore Estates. 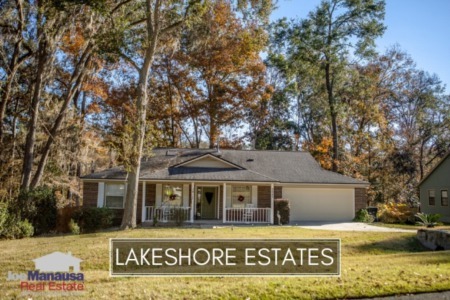 Lakeshore Estates is located just west of East-West line in Tallahassee, along the western edge of Meridian Road, north of the Interstate and south of Timberlane road. This means it is a NW Tallahassee neighborhood that's within a baseball's throw of the highly active NE Tallahassee housing market. As such, it is often overlooked by real estate agents and buyers who are focused on its neighbors to the east. This means that some buyers are missing out on some great opportunities (fewer buyers means lower demand = better prices for savvy buyers). You will find both three and four bedroom homes in Lakeshore Estates, and most of these single family detached homes were built from the 1960s through the early 2000s. The Leon County public schools serving its residents include Sealey Elementary School, Raa Middle School and Leon High School. It is important to note that the narrative contained below is for sales through December for all previous years, but through the first week of March in 2017. The graphs and the closed sales table will be continuously updated into the future (meaning bookmark this page if you always want to know the current status of homes in the Lakeshore Estates). Average home prices were up almost 4% in 2016, but still far below the $200K average of 2007. Remember, these are single-family detached homes on 1/3rd of an acre ... in town! Don't expect sub $200K prices to last forever here. Home sales activity is purely contingent upon the number of sellers deciding to move. If a home is listed and marketed properly, the home seller should expect offers in days (yes, offers not "an offer"). There simply is not enough of these homes for the buyers that want them. Currently, there are two homes for sale in Lakeshore Estates, and one is already under contract. Average home values rose 2% in 2016, but expect to see far higher appreciation this year. As fewer sellers face a sale in distress, the higher we will see these values rise. In terms of values, I'm confident that the days of sub $100 per square foot homes in Lakeshore Estates is behind us. People who buy a home today in Lakeshore Estates will be very happy with their long-term rate of appreciation when looking back ten years from now. In 2016, the average value of a home sold in Lakeshore Estates was $96 per square foot (congratulations to last year's buyers!). The average home size sold in Lakeshore Estates typically falls in a range of 1,500 to 1,800 square feet, and 2016 homebuyers selected homes near the very top of this range. The 32 home sales in 2016 averaged 1,719 square feet. The following list shows more than 650 home sales in Lakeshore Estates going back to 1991. I hope you enjoyed our March 2017 update on home sales in Lakeshore Estates, please feel free to drop me a note if you have questions not covered in this report.